Eleven years ago I watched as my mother took the leap from corporate America to creating her own small business. This took courage, self-confidence, and hard work—but what she’s built in brick and mortar, in community, and in personal growth and happiness is something that no desk job could have ever given her—a feeling of achievement, pride, and a real genuine love for what she does. Immediately I knew that I too wanted this. The freedom, the passion, and the ability to create something out of nothing, and more than anything to make that something incredible. Today I’m excited to be taking the first step in not only following in my mother’s footsteps, but also in making this dream a reality. The best part. I’m not in it alone. I am fortunate to of course have my mother as a mentor, but also an entire support system spread across the globe. As an avid traveler I’ve spent many of my adult years living abroad, currently I am enjoying the island life in Southern Thailand. But it is also through this nomadic lifestyle that I’ve learned the importance of roots. And I couldn’t be more happy or proud to be laying roots back in my hometown. Our boutique shop has tailored it’s product lines to appeal to the 25 to 40 year old demographic. 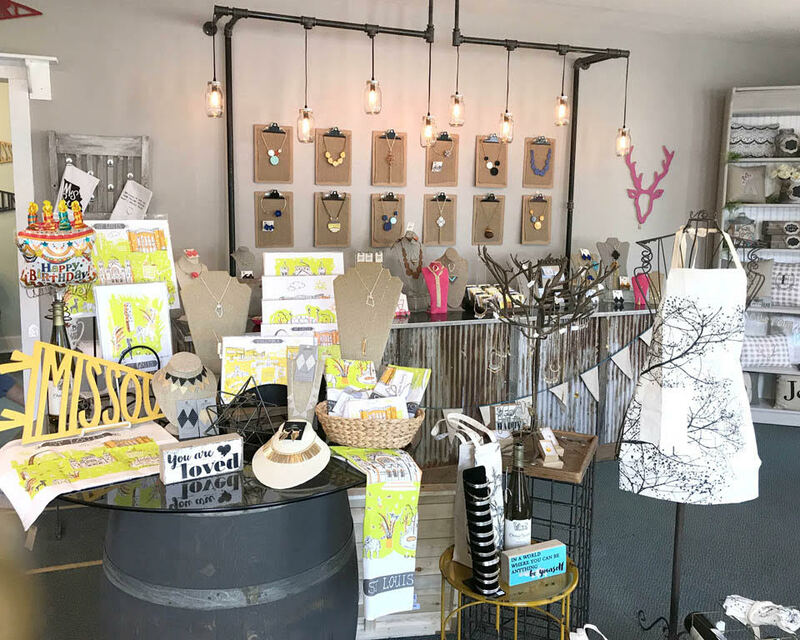 We carry men and women’s clothing, accessories, home décor, jewelry, and uncommon gifts. Each item is hand-picked, offering a taste of local, national, and global products. Named after our two rescue dogs, one saved from the streets of Thailand and the other from a dumpster in Jefferson County, Missouri, we are committed to sharing a portion of our annual proceeds with animal rescue organizations in both locations. Jenna Smith—a Windsor High School, University of Kansas, and Webster-London MBA graduate, she seeks adventure where it can be found and enjoys experiencing new cultures, countries, and most of all new people. Ulick Cady—a native of D.C. and newbie to Midwestern mentality and customs, he enjoys island and city life, but feels home is truly where the dogs are. Sara Roe—a Windsor High School and Missouri State graduate with a degree in fashion merchandising, has an eye for fashion and style, while her other eye is focused on her two little boys (and husband). Her experience includes buying, merchandising, and allocations with LA-based companies (BCBG Max Azria, Skechers) and St. Louis-based companies (Bakers Shoes, Scrubs & Beyond). The Smith Family—Betteanne is the owner of Mississippi Mud Gallery and Gifts, also located in Kimmswick, MO. She and Jenna wouldn’t be where they were today without the love and physical support of their handymen and accountant, Mike (father) and Drew (brother). We look forward to being part of the local community!